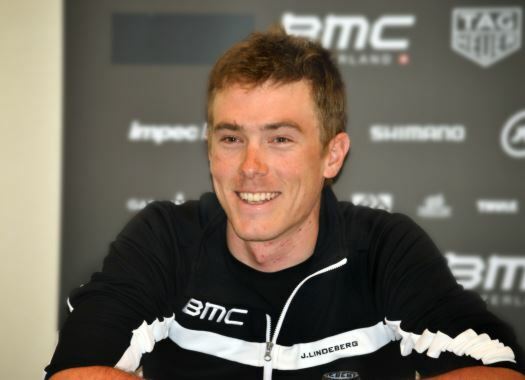 Rohan Dennis (BMC Racing Team) has kept the Pink Jersey for another day after he arrived to the finish of the fifth stage with the reduced peloton. The rider is already thinking about the big day that is to come. The fifth day of racing in the Giro d'Italia had a rolling route with an uphill finish but it wasn't a problem for the Australian or for the team. "To be honest, today was quite simple," said Dennis at the end of the stage. "Compared to yesterday it was not too nervous, I stayed calm but we're looking forward to tomorrow. Tomorrow is a big test." The sixth day of the Corsa Rosa will have the anticipated climb of the Etna that will make it a difficult finish, set to show the real contenders for the title. Dennis didn't do a recon of the stage, but the team is a source of information. "We know only what we get told by our directors," explained the rider. "They've done a great job. They're telling us what we really need to be doing when we have to be in front, when we get to relax, so that's helping a lot."